for their encounter with Christ through the reception of the Sacraments of Baptism, First Communion and Confirmation. An individual begins as an inquirer. During the period of inquiry, a person freely learns about Christ and His teachings in the light of Catholic tradition while discerning whether he or she desires to become a member of the Catholic Church. We accept Inquirers for the Christian Initiation process year round. Our Christian Initiation curriculum begins the first week in September each year and ends the Thursday before Pentecost Sunday. To learn more about RCIA at Our Lady of Peace, please contact Mother Bon Secours in the Adult Religious Education Office. To register, you will need to complete the Registration for Christian Initiation and Adult Sacrament Preparation form. Please submit the form to the Parish Office upon completion. READY TO BEGIN? REGISTER NOW! If you were baptized in a non-Catholic Christian Community, please submit any form of proof of Baptism at the time of registration. This may be in the form of a certificate, a letter, or a copy of the baptismal registry that has your name and Baptismal date and the name of the Christian Community on it. If the Christian Community no longer exists, then you may register without this information. Please submit a copy of your Birth Certificate at the time of registration as well. 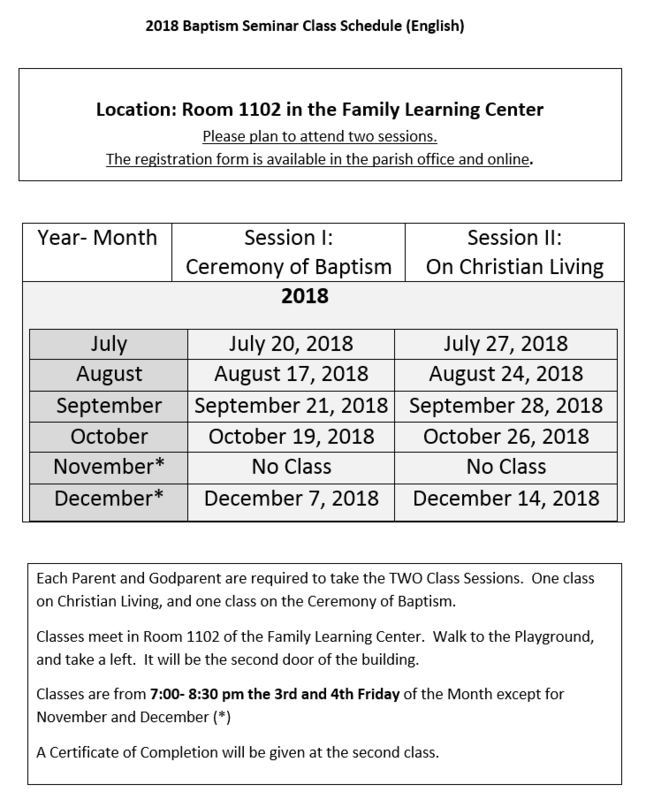 If you were baptized in the Catholic Church, and you wish to receive the Sacraments of Confirmation and/or First Holy Communion, then this is the class for you. The process by which persons enter into the life of Christ and His Church is called Christian Initiation. This class prepares baptized Catholic adults to complete their initiation into the body of Christ. To register, you will need to complete the Registration for Christian Initiation and Adult Sacrament Preparation Form. Upon completion, submit the form to the Parish Office, with an updated copy (within 6 months) of your Baptism Certificate and a copy of your Birth Certificate. Please submit a Certificate of Baptism at the time of registration. If you do not have a copy of your Baptism Certificate, you may contact the parish where you were baptized and make a request for the parish secretary to send you one. This also includes those who were baptized at Our Lady of Peace Church & Shrine. The Holy Bible, Revised Standard Version, Second Catholic Edition. San Francisco: Ignatius Press, 2006. Print. Catechism of the Catholic Church, Second Edition, Libreria Editrice Vaticana, Citta del Vaticano, 1993. Print or ePub file. A Certificate of Completion will be given upon Completion of the 2nd Class.